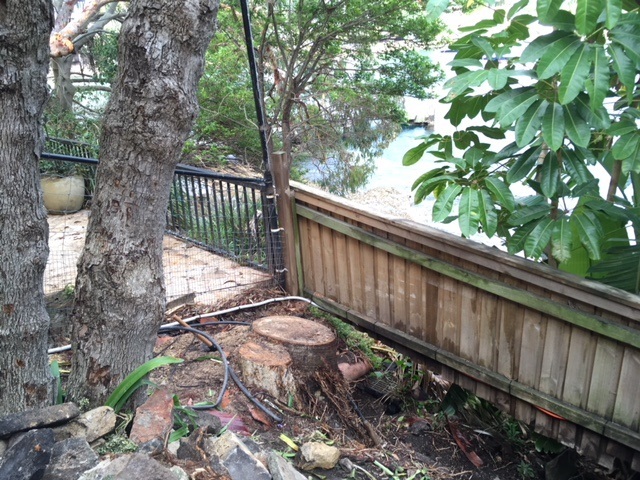 Two medium size stumps situated at the bottom of very large steeply sloped property at Vaucluse, Sydney. The two stumps where in the way of a retaining wall that was to be constructed. 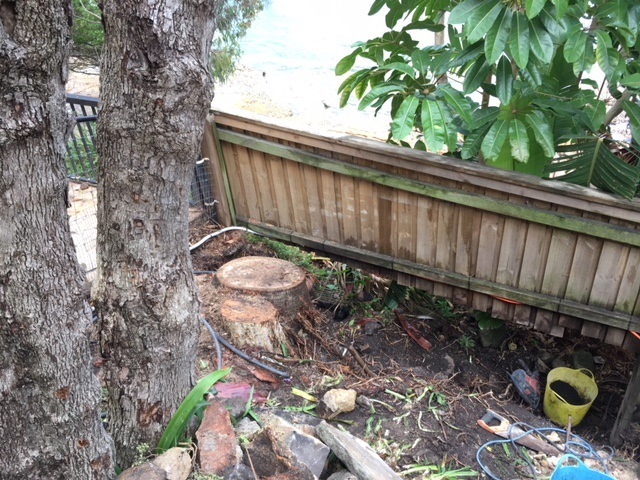 There was a Jacaranda stump and a Palm tree stump that had to be ground to approximately 300mm. 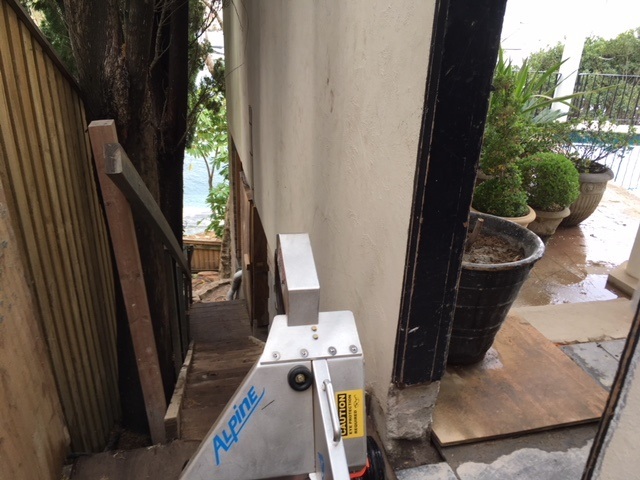 Access to the property was via multiple sets of steep stairways as construction for the outside of the house had commenced. Access was quite difficult and so was the position of the stumps as they where on the edge of a 2m drop. 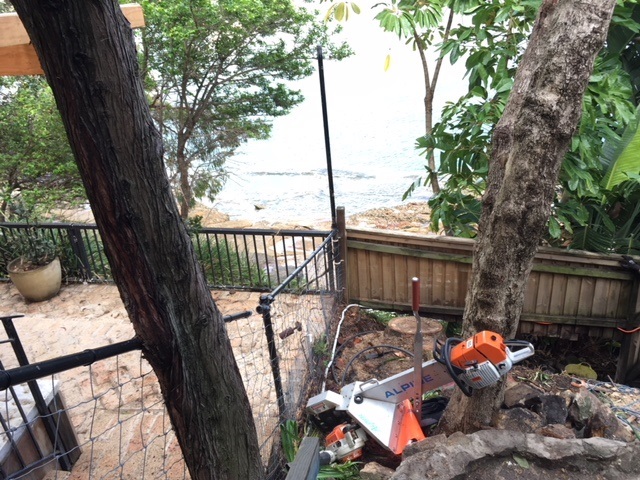 The hand held stump grinder was the only machine that could do the job and so both stumps where ground to a depth that sufficed for the builder. The grinder debris was removed by buckets to the top of the property by the builders employees.